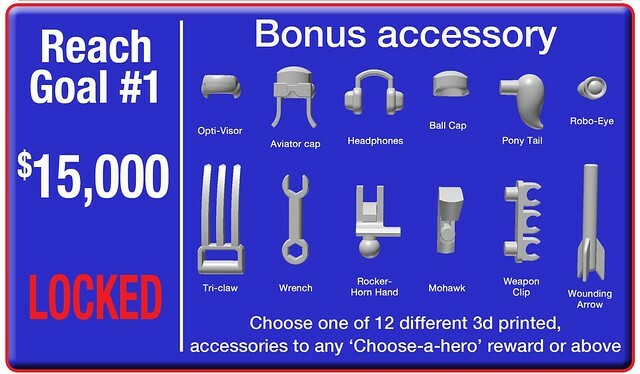 We're closing in on the first 'Bonus Accessory reach goal at $15K! Thanks to a slew of new backers and many of you upping your pledge levels! We still need $720-ish dollars to hit the bonus. Very doable considering the last few days numbers.- It would be a huge windfall, but even the $17.5K level is reachable considering many successful Kickstarters have sizable upswings on the last day. We still have time to grab the attention of new backers before the bell rings at 9pm tonight. Share some posts, write some new ones, tweet about this update, whatever you can think of. Many people have been discussing how these make great gifts for curious, builder and imaginative kids. Also, it might be worth mentioning that we're already funded and working on some additional freebies. Please take a minute today to check your pledge and be sure it covers exactly what you want. Since the addition of the Moli Modifier introduction, many people have been asking for ways to upgrade their current levels to grab items from other pledge packages. International backer reminder- if you have chosen a 'US ONLY' level and want it shipped anywhere else in the US, you need to add the $25 shipping charge. If you don't add the $'s, we can't ship your items. Venture accessory kit- =$5 If you'd like to add this accessory kit to any level, please add $5 for each. International shipping- As mentioned above, if you want a 'US ONLY' pledge package to ship to you overseas, then you to add $25 to your pledge level. 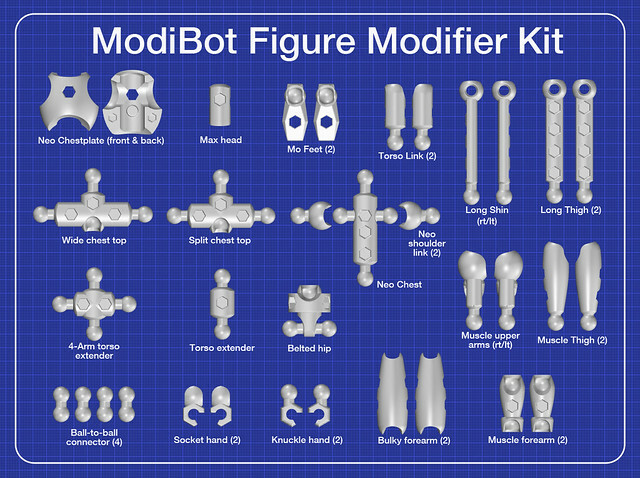 Figure Modifier upgrade kit- = $50 This is featured in the $100 level and I shared a video of it the other day. Lots of people like the idea of tricking out their Mo, but didn't want the whole $100 package. Just add $50 to your pledge level to add this item. If you have any questions today, just tap the 'Contact me' button on the main page and we'll get back to you with answers. Fingers crossed on hitting the Reach bonus level. So close!